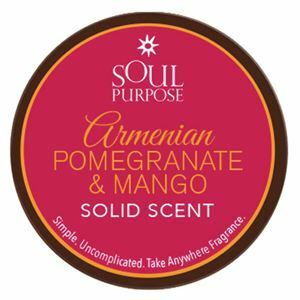 Armenian Pomegranate Mango is an all-natural, solid perfume. You can use this solid scent as a perfume, after shave, hair balm, hand and cuticle cream, they soften your skin. Our solid scents are made from beeswax, soybean oil, sweet almond oil, vitamin E, and essential perfume oils. They are simple, uncomplicated, take anywhere fragrances…perfect for travel.